Rick Parfitt and Francis Rossi; from the rock band Status Quo, are starring in the action movie Bula Quo! Yes you definitely read it right. 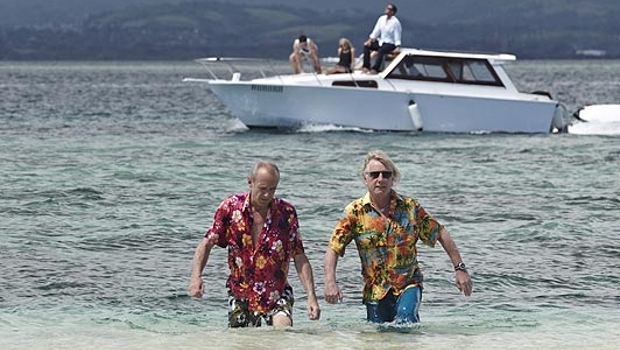 Status Quo are touring the beautiful island of Fiji, the trouble starts when Parfitt and Rossi decide to wonder off and are eventually forced on the run in fear of their lives when they uncover an illegal gambling ring. The beautiful setting of the movie can’t quite defer your attention away from the terrible acting, cliché running away from the bad guy scenes (one of which is with a golf buggy) and some of the most hilarious ridiculous fighting scenes; including one where their manager Simon (played by Craig Fairbrass) knocks someone out with a flip flop. But this is what I expected, I didn't expect to be a seeing a Hollywood blockbuster I was seeing a movie that was based around a band who sing, not act. “Not if we don’t look,” says Rossi. 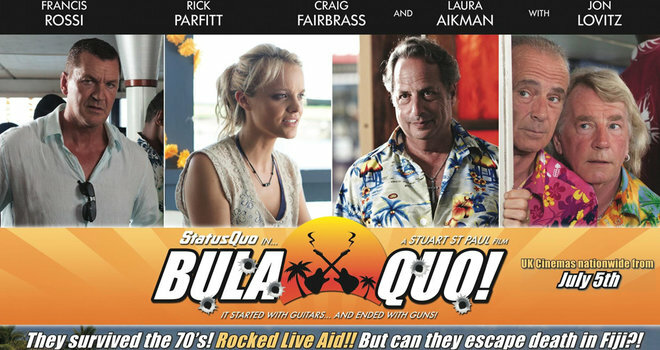 If you are a fan of Status Quo I do recommend you go and see this movie, you’ll probably end up loving them even more. 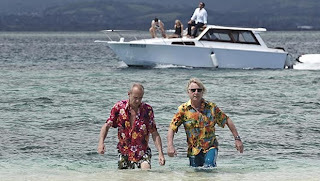 And for a bonus the band have recorded nine new songs, especially for the film and also a “Fiji Style” version of the track Living On An Island. Based on other movies out at the moment it is a bad movie, but it’s still hilariously funny and was definitely worth a watch.